URBANA, Ill. – The agriculture industry is in a tough spot; it’s simultaneously tasked with feeding a growing population and minimizing its environmental footprint. For corn breeders, that means improving nitrogen-use efficiency and crowding tolerance, all while maximizing yield. 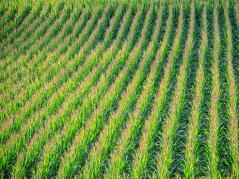 The first step, according to a new study from the University of Illinois, is understanding the genetic yield potential of current hybrids.